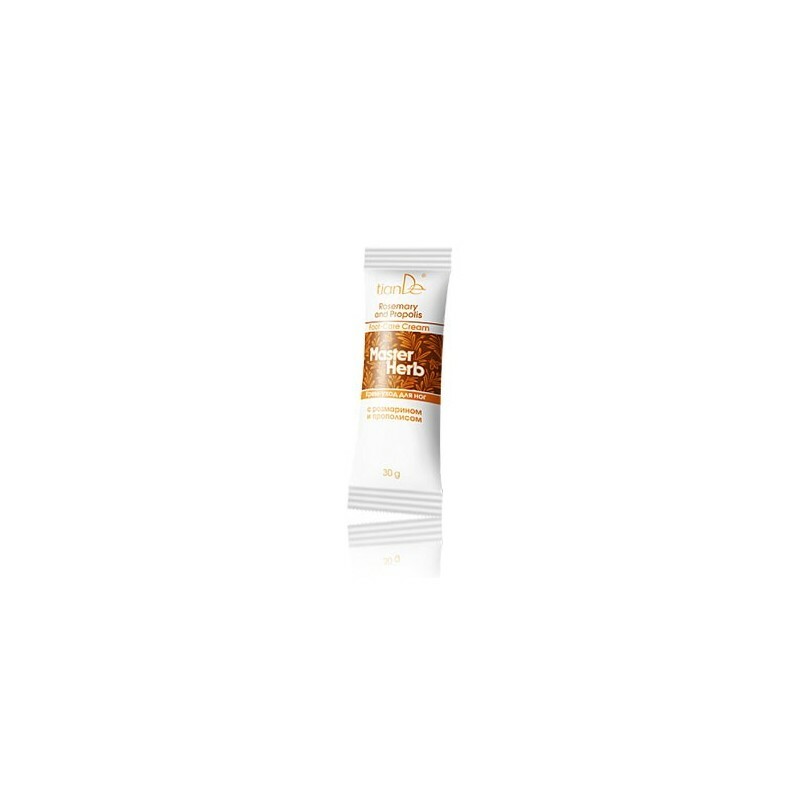 Due to the composition of the saturated cream effectively moisturizes, nourishes and softens the skin of the legs, prevents its roughness, providing comprehensive care from the fingertips to the knee. The cream does not only nourish the skin with nutrients but also makes it time to get rid of excess! On the surface of the stop is more than 250,000 sweat glands that produce toxins. To cope with this load skin helps rosemary extracts and propolis, which have detoxifying effects. A mint extract refreshes deodorizes and gives a pleasant coolness. The cream will be appreciated by lovers of shoes with heels and all, who spends much time on your feet: it will help to mitigate the effects of an uneasy day, refresh and tone the skin. Hydrates and nourishes the skin of the feet, softens hardened sites stop. It tones up tired feet. Economical packaging sachet allows to obtain a high-quality product at an affordable price. 30 grams is enough for about a month of daily use. Aqua, Urea, Cetearyl Alcohol, Paraffinum Liquidum, Glycerin, Isopropyl Palmitate, Cyclopentasiloxane, Olea Europaea Fruit Oil, Glyceryl Stearate, Ceteareth-20, Ceteareth-12, Cetyl Palmitate, Rosmarinus Officinalis Extract, Propolis Extract, Mentha Piperita Oil, Carbomer, Ethylhexylglycerin, Phenoxyethanol, Limonene.